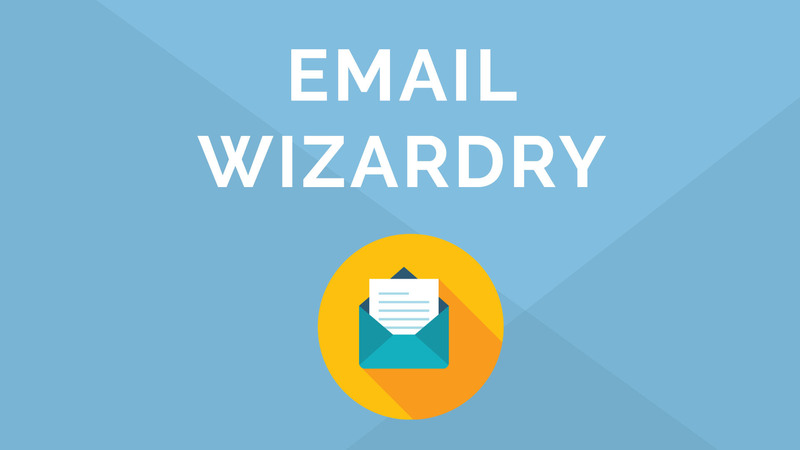 Want to learn how to write better emails? Email isn’t going anywhere. It will be the primary way we communicate in business for quite some time. And while managing email and writing emails are certainly frustrating and time-consuming tasks, they are also necessary, especially with the ongoing influence of AI and machine learning on filtering what does and does not get placed in your prospect’s email inbox. So, it’s worth focusing a little effort on making our own emails better. The hypothesis is that doing so will result in better engagement (more opens and clicks) that also signal to Google and other email clients that your messages warrant the inbox. The tidal wave of email isn’t going to stop any time soon. I am sure spammers are employing the same AI and machine learning tactics to their own trade. But if we want to be better heard above the white noise, we’d do well to learn how to craft more effective emails. This isn’t just for copywriters or marketers. If you do anything in a modern office, you probably use email quite a lot. You get a lot of emails, and you send a lot of emails. So what if you could get more results from the emails you sent? More “yeses” to your requests? Faster decisions from your bosses? It would make your job a lot easier, right? A clear path to more effective emails is at your fingertips. 1. Get your subject line right. We’ve written about how headlines can make or break a piece of content. Well, subject lines can make or break an email. Depending on which study you look at, up to a third of consumers either will or won’t open an email based solely on the subject line. Writing subject lines is, of course, an art. A lot of research has been conducted on which words, phrases, or approaches work best. One recent study showed personalized subject lines often get upward of a 50 percent lift in open rates. You can also test your subject lines. Tools like the free Subjectline.com or the paid tool, Touchstone, can help. There’s also Adestra’s free tool for subject lines, which will tell you how an individual word in a subject line might affect your email’s performance. Unless you’re publishing a long-form newsletter, keep your emails short. This applies to interoffice emails, outreach emails, sales emails, transactional emails and even to promotional and company announcement emails. Nobody wants to spend a second longer in their inbox than needed. The average time reading an email is about 11 seconds. So how short should emails be? The research says that an optimal length is 50 to 125 words. It’s got four links. Three of them go to the same page ‒ the new blog post he’s announcing. Each of those three links has different language. This makes you more likely to click, because there are three options for framing the content. Most of the paragraphs here are only one line long. Even the long paragraph is only three sentences. That postscript: It goes to a business opt-in. So he’s promoting content here, but also nudging the people who are interested into his sales funnel. The postscript is an old-school copywriting trick. People tend to read postscripts far more often than the body of a sales letter. So try using more postscripts in your emails (especially if they are covert calls to action) and see if you don’t get better results. Want help on copywriting? Joanna Wiebe has an excellent series of tutorials, one of which is about writing cold emails like this. In it she recommends asking the influencer what the one thing they’d change or add to the piece would be. That very focused and simple request often gets a response. Want to get better at writing shorter emails? The Chrome extension TinyMails can help by giving you immediate feedback. It counts the words in your emails and calculates how long they’ll take to read. The best measurement of your writing’s clarity is the grade level it’s written at. We’ve previously noted how important is readability. But with emails, it’s even more important. So, while your onsite content might be okay at a 7th-grade-reading level, consider writing your emails at a 3rd-grade level. Is that crazy? Nope. Research from Boomerang actually proves that sales emails written at a 3rd-grade-reading level get the highest response rate. Now, does this mean you have to distill your messaging down to “Bob ran fast. See Bob run.”? Nope. It does mean you’ll need to talk to people without using jargon. And without meandering sentences or murky thinking. You can write about complex things with simple words. It just takes work – and skill. We touched on this in two earlier points, but I wanted to give personalizing emails their own moment. Personalization works. Period. You saw how a personalized subject line can lift open and click-through rates. Then you saw how a personalized greeting, combined with a personalized close, can make a good email stronger and more convincing. And that’s all true and good. But it’s also important to acknowledge a different kind of “personalization” ‒ sending the right message to the right customer (or influencer, or prospect, or co-worker) at the right time. This is the kind of personalization that’s more effective than just dropping somebody’s first name in. It’s also far harder … but it gets much better results. So when you’re sending out emails to people (for requests, or sales contacts, or whatever), don’t just use the same copy over and over again. Customize it based on the receiver. Take a look at their website to get the gist of what they do and who they are. Then write an email that acknowledges that. I get far too many emails (as do you, I bet) from people who say things that make it vividly clear they have no idea who I am or what I do. And you know what? I don’t answer those emails. Instead, I tell Google that its spam. I bet most of the other people they’re sending these emails to don’t answer them, either. I bet they get pretty awful response rates. I also bet that if they sent out even a third as many emails ‒ but actually checked who they were mailing to and wrote emails that made sense and showed five minutes of research – that they’d get more results. Fewer emails, same amount of time. But they would be emails that actually connect with their targets and show that the sender wasn’t just cranking out a template with people’s first names stuffed in. That’s not too much to ask. How do you sign off on your emails? With “Best Regards”? “Yours”? I usually mirror back what the other author wrote. So if they close with “Best Regards,” I will, too. But maybe I need to try a different tack.